Sinn emerged the winner in a tender for a new wristwatch for the the German Navy's elite commando frogmen, who will now wear the UX S Kampfschwimmer. 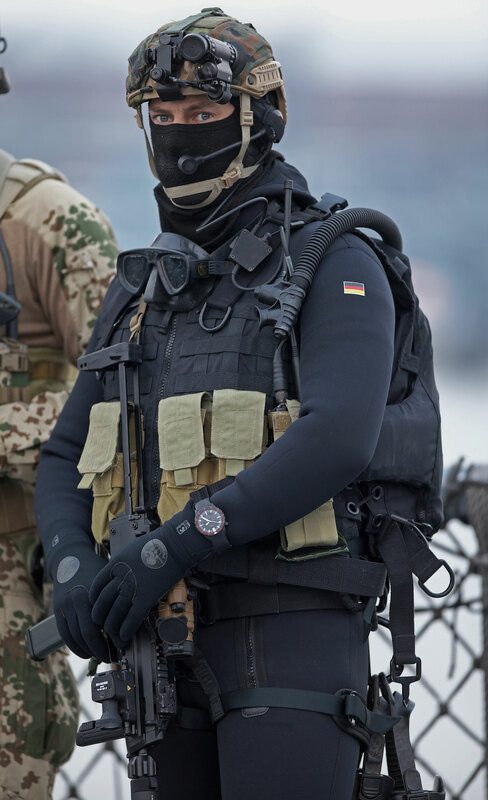 Based in the northern port city of Eckernförde, the Kommando Spezialkräfte Marine (KSM) is an elite unit of the German Navy made up of commando frogmen known as kampfschwimmer, or combat divers, as well as mine clearance divers. 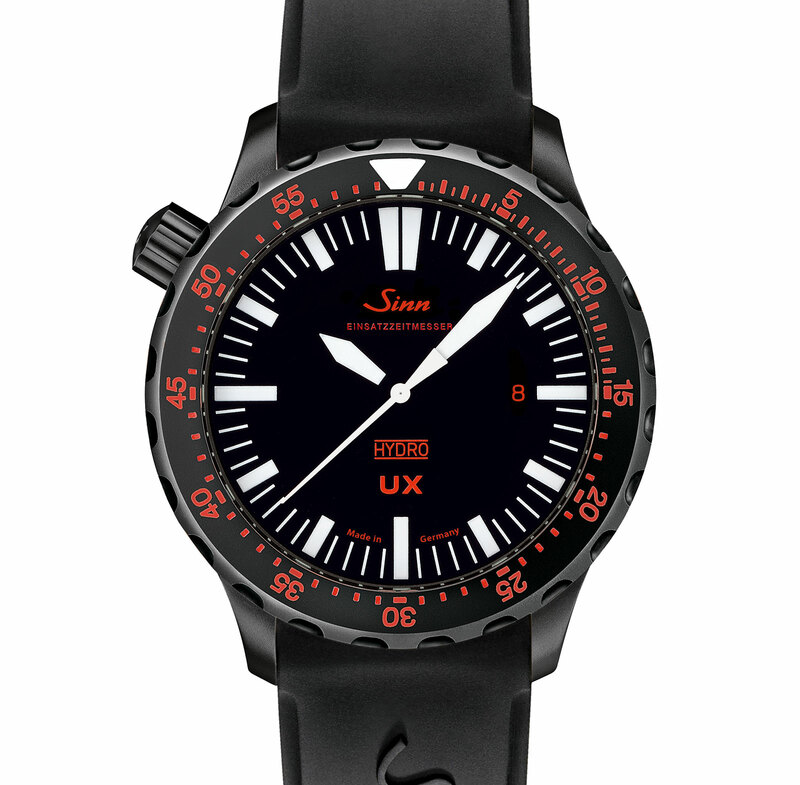 After a public tender by agency tasked with equipping the Bundeswehr (the German armed forces), the Sinn UX S was selected as the new wristwatch for the KSM, joining an illustrious lineage of timepieces issued to its divers in the past, including the Panerai Radiomir 3646 Kampfschwimmer and the IWC Porsche Design Ocean 2000 Bund. The version issued to members of the KSM is the UX S Kampfschwimmer and is not available to the public. However, the UX S Kampfschwimmer is almost identical to the civilian version of the watch, sharing the same case made of Tegiment-hardended, submarine steel and coated with a scratch-resistant ceramic layer. 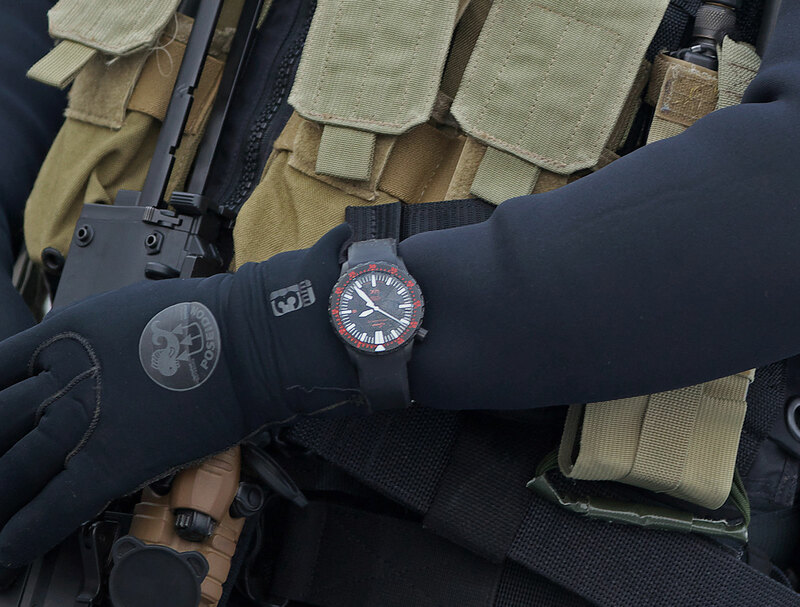 And the UX S “Combat Diver” is essentially the same as the UX S GSG9, another variant of the watch made for GSG 9, the counter-terrorism unit of Germany’s federal police. Like all of the UX series watches, the UX S Kampfschwimmer is quartz, with the inside of the case filled with silicon oil. The incompressibility of the oil gives the watch exceptional water resistance, with the movement being rated to 5000m and the case to 12,000m. The reason for the disparity between the two is that a the capsule containing the quartz crystal inside the movement will crack beyond 5000m, though the case will maintain its water-tightness. Another advantage of the oil is the an optical effect where the hands and dial appear flat, seemingly printed on the underside of the crystal. This maximises legibility and minimises distortion, even underwater. Alpina takes inspiration from Second World War German Kriegsmarine wristwatches for the new KM-710. Specs and pricing below. Sinn has just announced the Meisterbund I, a wristwatch with all its critical components made in Germany, a result of the brand's collaboration with fellow German suppliers SUG and UWD. With a case made of surface hardened and black coated Damascus steel, the Sinn 1800 S Damaszener is even more intriguing because the case and dial are a single piece of steel.